Oh thee of the terraced vineyards. Sitting on the side of spring mountain, Barnett vineyards is one of the most beautiful sites in Napa. The vineyards are terraced along the hillside with little “rest” areas through out. Beware of rattlesnake vineyard, it is named that for a reason. I fully enjoyed my visit there and the tasting. Make sure you visit the cellars carved into the hillside. The owners of the vineyard, Hal and Fiona Barnett founded the estate in 1983. Today, David Tate is the winemaker and oh is he producing some high quality wines. This is one of the fantastic wines coming from this small producer. A tremendous cab. The rich dark color, intrigues and invites. Aromas of currants, dark cherry, violets and a hint of plum. Once the juice hits your mouth this symphony starts playing. All of the above flavors, intense, full and rich. Long long long finish with firm tannins, already your mouth is begging for more. So complex, so structured, but very approachable. Already one of my new favorites. 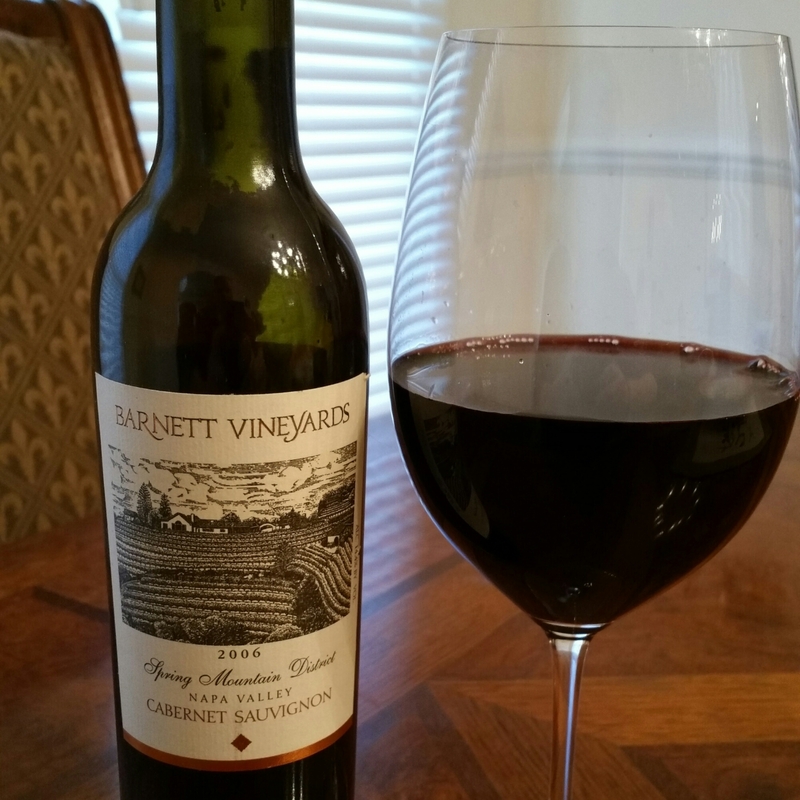 Praises to Barnett, setting the bar for premium wines. You must make this one of your special occasion wines.